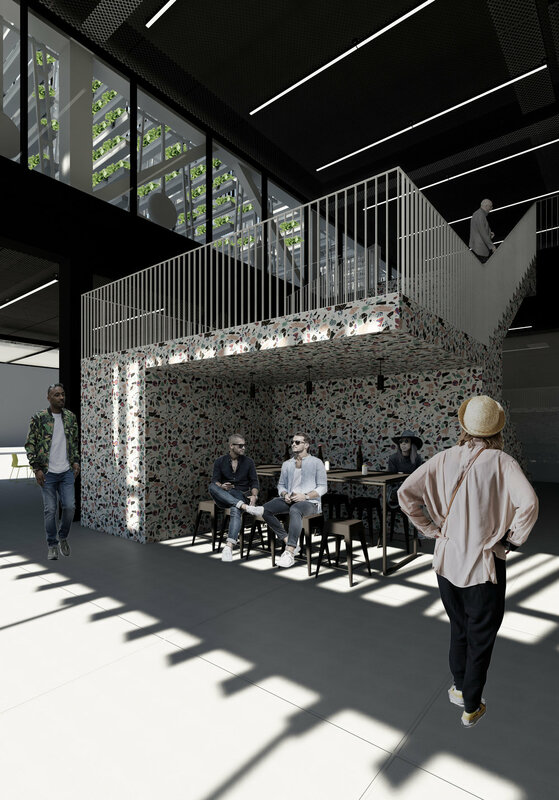 This project is located at a highly visible corner at the nexus of Civic Center, SOMA, and the Hayes Valley neighborhood. 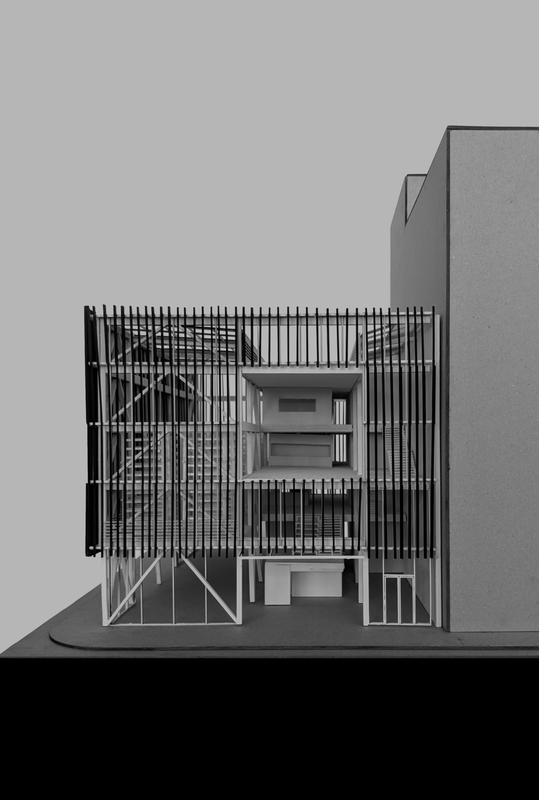 The goal for this project is the take advantage of this visibility through both internal and external porosity. In plan, the farm is positioned as a strip that runs along Franklin Street on the second level. The urban room, event space, commissary kitchens and building services are located along the adjacent strip, allowing for a view of the farms from any point in the building. 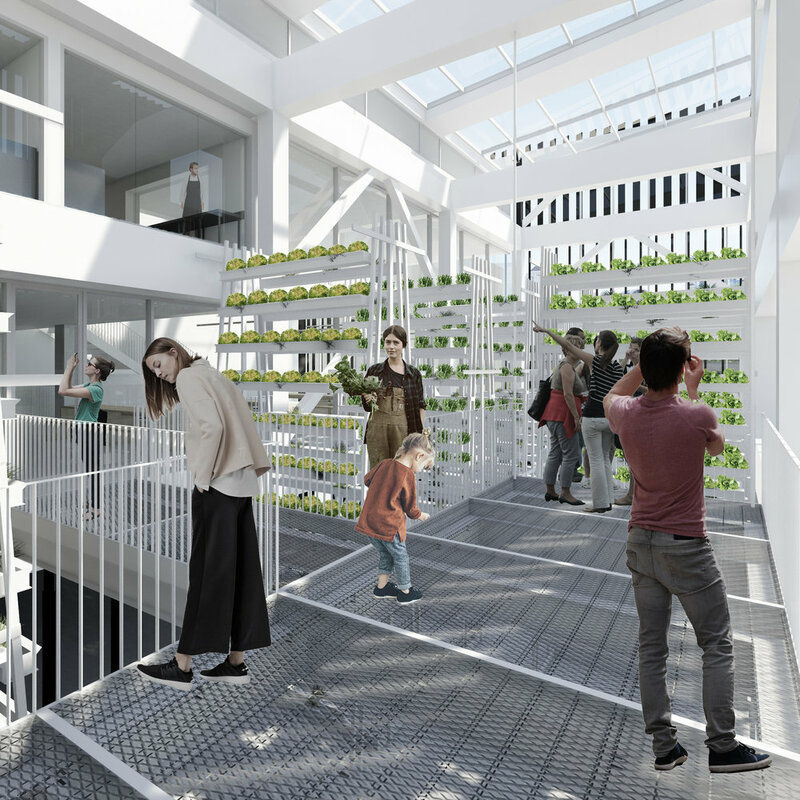 Internal porosity is created through the double height space of the Urban Room, allowing one to see into the farm from the ground floor. From here you ascend a terrazzo stair that brings you up to the level of the Urban Room, where you can grab a drink at the bar while you watch the farmers harvest greens. Porosity was also used as a concept for the facade strategy, in which a series of vertical aluminum louvers wrap the building. To variate the facade, the louvers range in depth from 4 to 8 to 12 inches. The vertical louvers are operable in the zone that wraps around the farm, in order to allow for better control of south-western sunlight. There are two areas in which the louvers are interrupted: a double-height opening on the south facade that corresponds with the event space and a single-height opening on the west facade at the viewing platform in the farm. 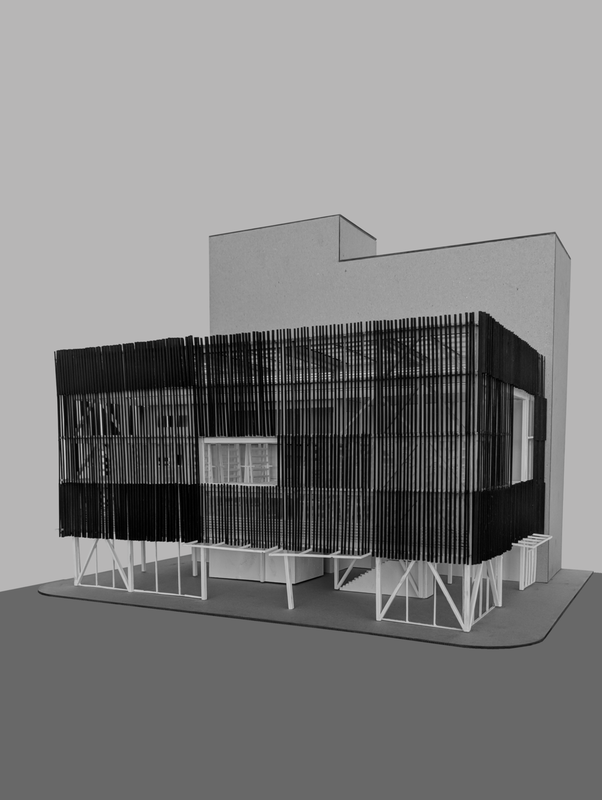 The louvers and the urban room are finished in a charcoal black color in order to create a contrast between dark and light that emphasizes the porosity from both outside, looking in and inside, looking out.